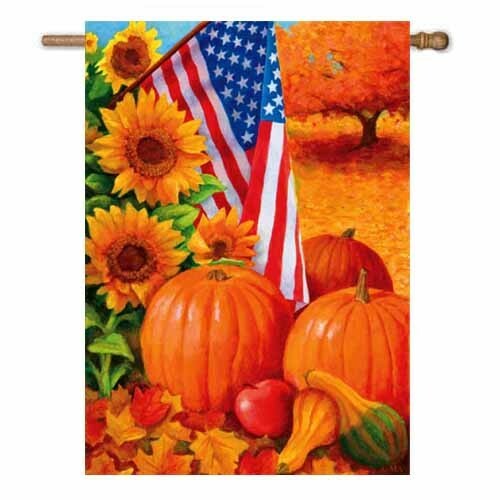 This fall flag featured an American flag, pumpkins, colorful sunflowers and a festive autumn seasoned landscape in the background. 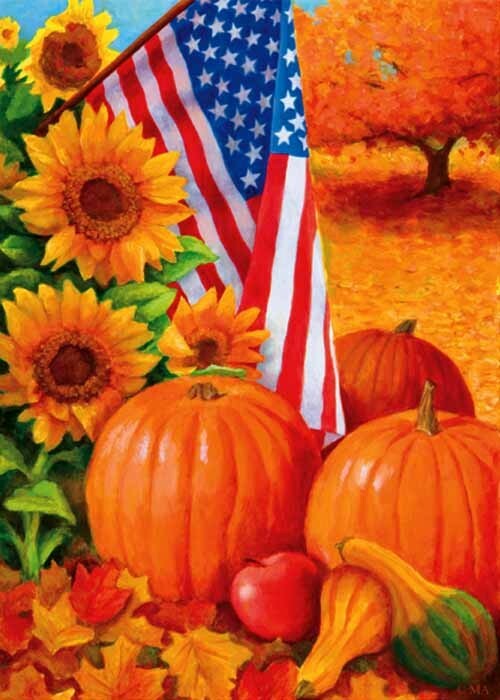 This fall flag featured an American flag, pumpkins, colorful sunflowers and a festive autumn seasoned landscape in the background. Theme/Season: Fall/Autumn Flag, American Flag, Pumpkin Flag American Fall House Flag. SIZE 29 inches X 43 inches. Silk Reflections Flag.